One of the most ambitious air transport projects of 2016 in Russia of turning the classic reginal air carrier Nordavia into a low-cost airline seems to be over. After just four months as general director, Vladimir Gorbunov, a former head of Russia’s pioneering budget airlines Avianova, Dobrolet (later re-organized as Pobeda) and a de-facto inspirer of the new project, left Nordavia. “Nordavia Airline will remain a regular reginal carrier. At least for the next two years it will continue to operate its ageing Boeing 737-500’s (it operates 9 aircraft of this type). Although this fall the airline might introduce Airbus A320s,” an industry source told Russian Aviation Insider. Vladimir Gorbunov was appointed the general director of Nordavia in April this year right after co-owner of the Red Wings airlines Sergey Kuznetsov had acquired the company and the MRO provider Nord-Technik from the Norilsk Nickel Group. However, at least two more businessmen beside Sergey Kuznetsov became beneficiaries of this core air carrier in North-West Russia. It turned out though they had different views over Nordavia’s future which most likely appeared to be the reason why the project of transforming the Arkhangelsk-based airline into country’s second low-coster got wrapped-up so rapidly. Russian Aviation Insider’s source in Nordavia said the shareholders made up their mind to go for a legacy network carrier in cooperation with the sister airline — Red Wings. Anatoly Semenyuk, a former deputy technical director of operations in Red Wings, will be responsible for implementing the new strategy as a new general director of Nordavia. 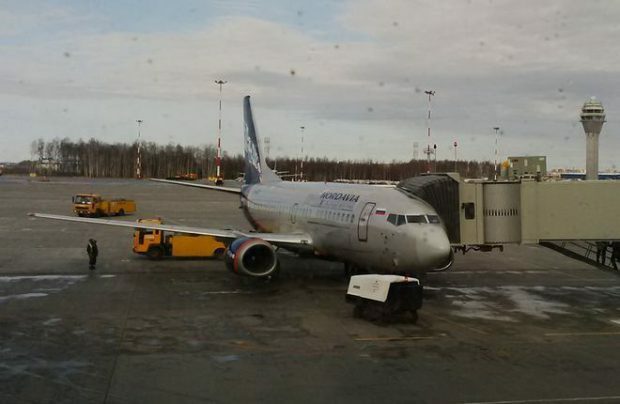 The change of management in the Arkhangelsk-based air carrier was done to enhance administrative centralization of the Nordavia and Red Wings companies.